PokerStars milestone tournament kicks off at 14:00 ET. There are 12 different ways to secure a seat catering to a wide range of buy-in and game preferences. In addition to the direct buy-in fee of $215 and regular qualifying satellites that start from $1, there will be special $5 Spin & Go qualifiers running from March 20 awarding seats to the tournament affectionately known as the “Milly”. If players are knocked out of the Sunday Million 11th Anniversary tournament they will have the option to re-enter up to three times to keep alive their dream of winning the $1 million first prize. Re-entry does not have to be immediate but it does need to be before the end of late registration. Upon re-entry, players will be treated as a new player entering the tournament field. They will receive a new starting chip stack and be re-seated at a random table with their new buy-in added to the prize pool. The Sunday Million, which first appeared on March 6, 2006, has grown to be a truly global online tournament which historically has attracted almost 3,000,000 unique entries, and is arguably the most desired weekly online tournament title. Previous winners and final tablists come from all corners of the globe. 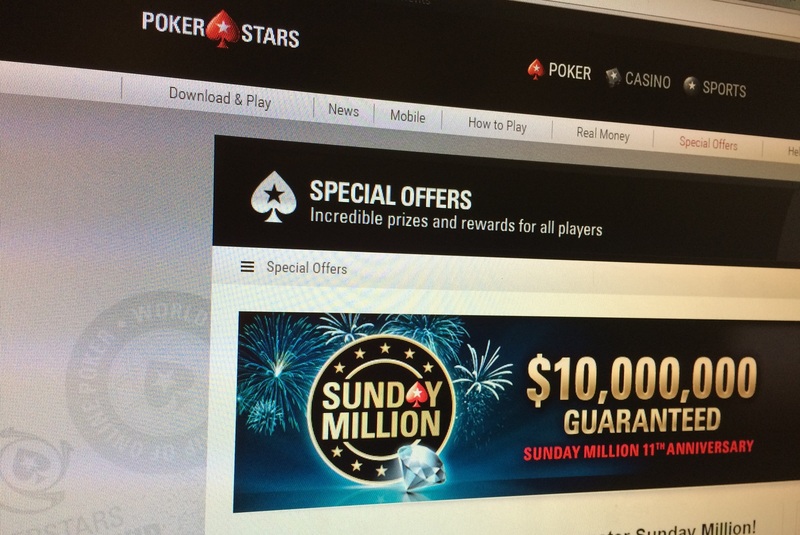 The Sunday Million regularly attracts a weekly average of more than 5,000 entries. Last year’s 10th Anniversary tournament was won by Canadian ‘a.urli’ who beat a field of 55,059 entrants (including re-entries), taking down $970,000 after agreeing a four-way final table deal. Despite the vast number of entrants over the years, there have only been 11 players who can boast two prestigious Sunday Million titles to their name. ‘Diegoaiz’, a marathon runner and clinical researcher from Argentina, won titles in 2008 and then again three years later in 2011. Jesper ‘KipsterDK’ Hougaard from Copenhagen, who is known for his talents in the world of sports and mindsports (he is a former Danish national table tennis team member with two WSOP bracelets to his name), demonstrated his online skills when he won the Sunday Million in 2008 and 2009. And then there is the elite within the elite: Rob ‘robtinnion’ Tinnion and Kevin ‘kevsteele’ Steele are the only players to win two Sunday Million titles each within 12 months of their first. Will the 11th anniversary on April 2 see another double winner – or perhaps even the world’s first triple Sunday Million winner? Players can qualify for the $11 Deadline Satellite via $1 feeder satellites running now.